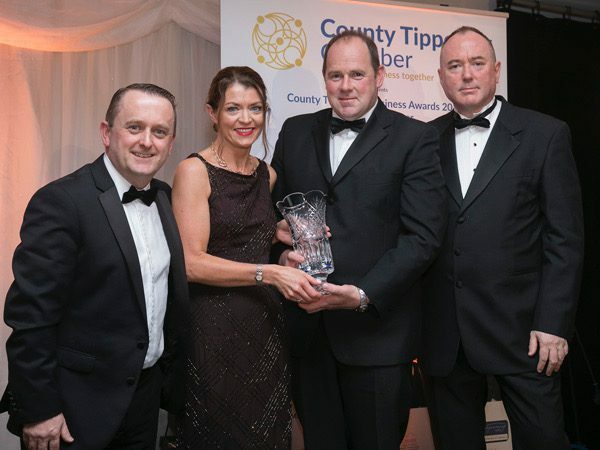 Acorn Regulatory won the ‘Best Use of Social Media & Digital’ at the second County Tipperary Business Awards which were held at the Clonmel Park Hotel on Friday, October 19th. Brian Cleary and Dr. Gemma Robinson from Acorn Regulatory accepting the award for ‘Best Use of Social Media and Digital’ from Cllr. Andy Moloney from Tipperary County Council and category sponsor Alby Pharma and Chamber CEO David Shanahan. The company added to their win at the 2017 awards event with the prize for digital marketing. The judges were impressed by the company’s use of white papers, Social Media, videos and other methods in promoting the company to an international audience. Speaking at the awards event, Acorn Regulatory’s Managing Director Dr. Gemma Robinson said that the team were thrilled to be chosen as winners and she highlighted the strength of competition from the other companies shortlisted in the category. “This is a great win for our team. We had stiff competition from both Cashel Blue Cheese and Mediskin and we would like to congratulate them on being shortlisted. It’s wonderful to win another award this year having won the ‘Best SME’ award last year”. 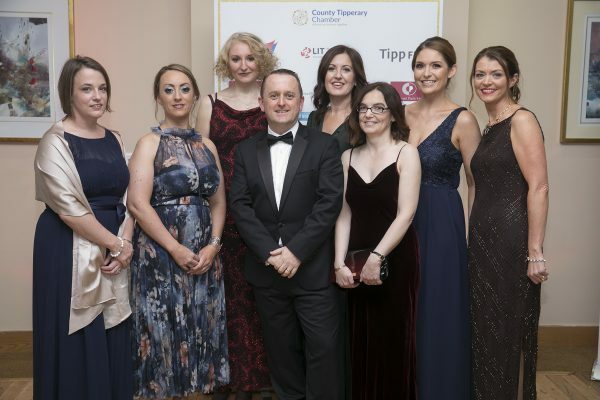 Attendees from Acorn Regulatory at the 2018 County Tipperary Business Awards. From left to right: Orla Keane, Mandy Cashman, Justyna Lyzwa, Brian Cleary, Fionnuala Fahey, Christine McGrath and Dr. Gemma Robinson. Acorn Regulatory is the only company to have won awards in successive years. The awards ceremony drew a capacity audience to the Clonmel Park Hotel and Tipp FM‘s talk show host Fran Curry was the master of ceremonies for the evening.